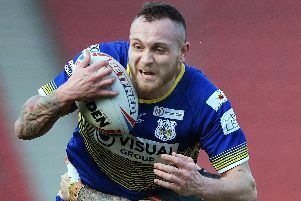 Second-rower Steve Snitch's reaction to Doncaster RLFC's first win of 2015 on Sunday will have struck a chord with everyone connected with the lowly Championship club. “It's about bloody time, isn't it?” he said. “We certainly owe the fans our thanks for sticking with us after six months without a win. “We started well for a change and probably the biggest difference was our completion rate was a lot better than it has been and we didn’t give away as many penalties which gave us the chance to go toe-to-toe. “We’d spoken before the game about the need to make a good start and to still be in the game at half time because historically this season we’ve tended to play better in the second half. “I feared the worse to be honest when they got on a roll early in the second half, but once we got our first try of the half – which we haven’t been doing in similar circumstances – it gave us a massive lift. “When I was at Huddersfield we once lost seven on the bounce but then we won the next nine which goes to show that sometimes just one win can really boost a team’s confidence and I’m really hoping that we can build on the Hunslet result against Halifax on Sunday. “But we know it’s going to be very tough to win either of our remaining two (regular) league games because Halifax are looking to retain their top four spot and Leigh have been on fire all season. “However, we’ve given ourselves a bit of confidence now and we could potentially be in with a chance in all seven games in the new Championship Shield if we play at our best. Sunday’s game saw several new faces on duty, including former Dewsbury half-back Joe McLocklan, who impressed Snitch. “He certainly added something to the team,” he said.